Please note that both movies are spoiled in-depth. During this week I was able to get to the movie theater twice, once to finally see "Ant-Man" and then two days later to view, "Magic Mike: XXL". I really enjoyed and found some issues with both, for a variety of surprisingly similar reasons (and I was surprised I liked "Magic Mike: XXL" as much as I did considering Steven Soderbergh was not as involved in this one as the last, which he directed). 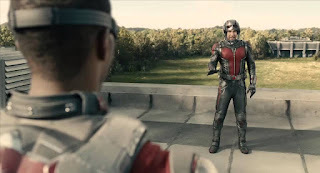 One Reason: Both had amazingly choreographed scenes--be it Scott Lang's fight with Anthony Mackie as the Falcon in a surprise cameo (well, surprise if you haven't seen the T.V. ads that ruined it) or all the guys insanely creative strip-routines. Another Reason: There was an immense amount of humor in both films, and both had a major overall goal, with it being a heist in "Ant-Man" and winning the Stripper Convention in "Magic Mike: XXL". A Less-Positive Reason: Both movies also unfortunately had female characters that didn't get too big of a role, be it Hope in "Ant-Man" stuck to the side assisting Scott and her father Hank up till the reveal of a new Wasp outfit during the credits, or Amber Heard's Zoe character existing on the periphery of the film to give Mike someone to vaguely flirt with, but appear to decide is better as a friend (which it actually is kind of clever to have the idea that not every women Mike meets he has sexual chemistry with). There is one exception in "Magic Mike" in regards to a character named "Rome" I will discuss at the end of this post that helps counter this issue though. Another Disappointing Reason: Both movies really do just sort of end, with "Ant-Man" clearly ending with a big cliff-hanger (especially so with that post-credits scene featuring Cap, Falcon, and Bucky) to get people even more excited for, "Captain America: Civil War" and Magic Mike reaching the point it has run two hours, the guys win the show, and the credits just suddenly roll as they watch fireworks on the beach triumphantly--because, honestly, what else is the movie going to show now that they won? Mike going back to working on furniture? I just gave four examples, and I imagine I could come-up with more, but you get the idea. I think I'll elaborate a bit on them, though. 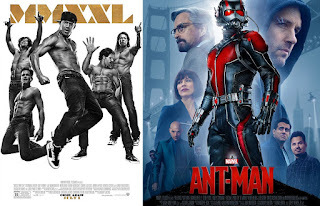 For example, the choreography in both flicks is truly a mind-blowing thing to witness, with the mixture of real-fighting and special-effects giving "Ant-Man" a high intensity whenever Scott jumps between shrinking and being normal-sized while punching and kicking or when we see the guys in "Magic Mike: XXL" being just amazing with their dancing, from Channing Tatum in his workshop, Joe Manganiello at the gas station, or the sheer insanity of the closing scenes with their candy shop, honeymoon, and the surreal mirror-strippers bit. Plus, the immense humor and how it compliments the action is just delightful. 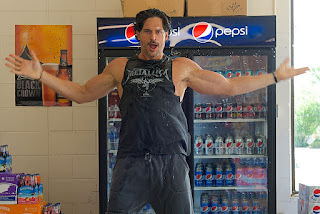 Watching Manganeillo do his wild dance in a gas station before asking how much the cheetos and water he used are, or seeing Scott Lang joke about how he's sorry for beating-up the Falcon because he's a big fan both are just two examples of great jokes that compliment the going-ons of each movie. 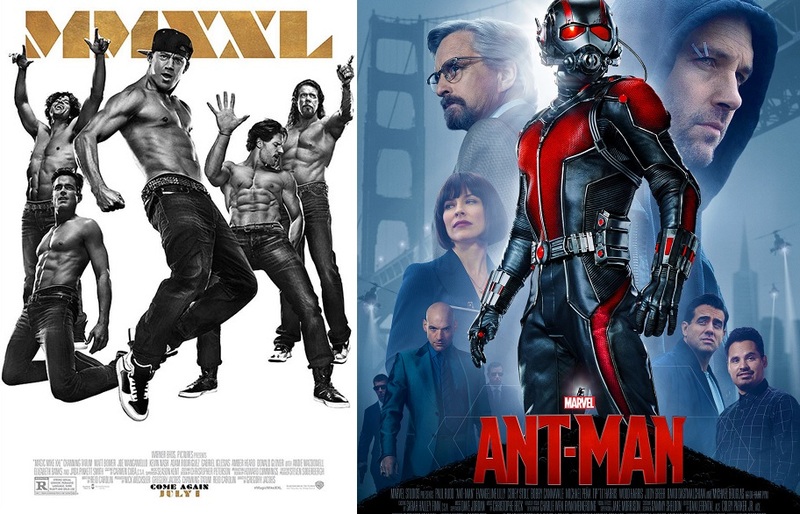 The mixture of solid writing and great delivery by Paul Rudd in "Ant-Man" and all the guys in "Magic Mike XXL" creates two films that are both just hilarious. 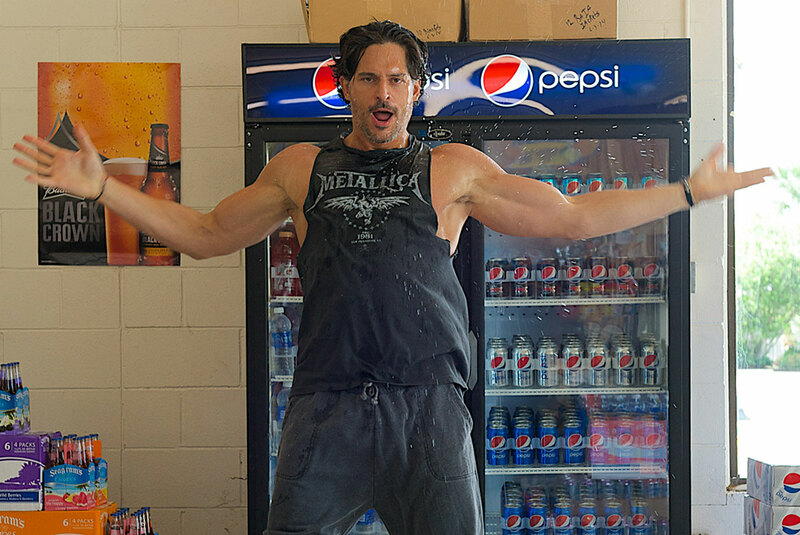 As "Magic Mike: XXL" is more of a comedy it has less drama (especially compared to the first one which could honestly get a bit dour), but "Ant-Man" knows when it needs to stop joking and put on a serious face for at least a few minutes. Still, as you see, all of this talk about action and humor is about men. Seriously, these movies are pretty testosterone-driven, with one key character keeping "Magic Mike: XXL" from feeling too much like its all about the guys. It makes sense that with "Magic Mike: XXL" you're going to focus on men, and those men getting very lightly clothed, but the original "Magic Mike"--which I quite liked--does give the women characters some attention, as opposed to this one which other than a one big character is all about the boys, with women serving less as characters so much as the entities the fellows oil-up and grind on--not that any of the women in the theater I was in would complain if it happened to them (one yelled out, "I'd like to!" when a female in the movie asks to take off the shirt of Joe Manganiello's character). As for "Ant-Man," you've got Hank Pym's daughter, Hope, acting like she hates Scott the entire movie before they fall in love...for some reason, and Judy Greer making an appearance as his ex-wife, but both are mostly minor characters. Scott's daughter really serves the biggest female role in the flick, although in the end she's more of a macguffin to make Scott and Darren Cross AKA Yellowjacket have a big fight around a Thomas the Tank Engine train set. Don't get me wrong, however, that fight was awesome. 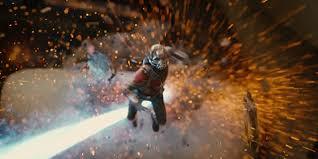 Also, my annoyance about the sudden credit-rolling of both movies isn't too bad, as that's par-for-the-course with Marvel flicks to leave you wanting more, but it just really felt like "Ant-Man" really left a lot of stuff up in the air, as opposed to some of the other Marvel films that feel more complete. Plus, with "Magic Mike: XXL" once they win the Stripper Convention that's kind of that, but I still would have liked a little more closure--even something like out of "Animal House" where it shows their picture and goes on to describe what their character's went on to do--"Tarzan finally was able to meet the woman of his dreams and have a family, just as he said he wanted during one of the few sad scenes in the film," or something like that. There are parts I really liked about both movies, and some annoying concerns about them too. I think I can say that in my opinion that the sequel to the original "Magic Mike" really is bigger and better, much like the "XXL" in its name would imply, and "Ant-Man" was solid fun (better than the "Thor" films), but not as incredible as some of my favorite Marvel features ("Winter Soldier" is just a masterpiece). A Closing Interesting Side-Note About "Magic Mike: XXL"
Basically, this film is really diverse and inclusive, which I quite liked. The guys go to a gay-friendly bar hosted by a Drag Queen early in the movie on their road trip and don't express any discomfort or crack any jokes at the expense of the LGBT population. They just simply are some straight guys who feel perfectly comfortable hanging-out with LGBT individuals too. Also, later in the movie when the fellows need a new car, Mike takes them to a large establishment owned by "Rome", who is played superbly Jada Pinkett-Smith. 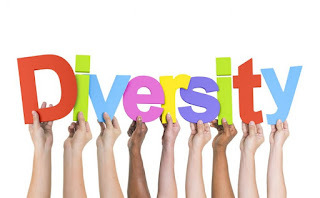 The mansion of a building they go to is a massive strip-club that has a clientele who are mostly women of color, and a "staff" of male dancers who are black men too. Again, this is never used to set up some kind of joke at the expense of any minority, it just is apparent that Rome has found an audience and tailored her employees to appeal to that audience, with her making mention she has had some Caucasian men in her employ too, with Mike apparently having been known as, "White Chocolate" when he worked for her years ago. 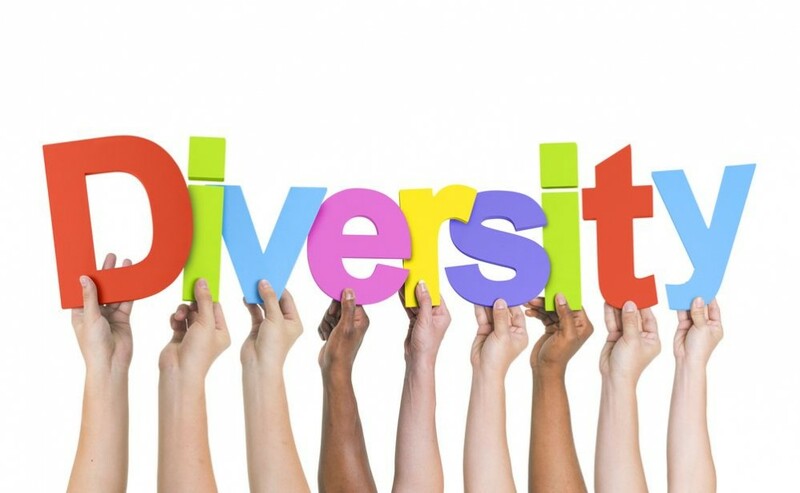 It results in a movie that actually passes multiple tests in regards to to the portrayal of race and gender discussion. By giving us the character "Rome" in the form of Jada Pinkett-Smith viewers see a strong female, who Mike actually has to go to for help, and who does not just automatically help him, but demands he prove he is worth her investment of time and resources before she saves his team from being disqualified from the Stripper Convention by serving as their MC. Rome is a strong, self-assured, and business-savvy individual who really gives "Magic Mike: XXL" that extra, "Oomph," to the story and characters by showing us that to truly succeed and win, both men and women need to work together as equals--even if it is working together to win something as silly as the Stripping Convention.